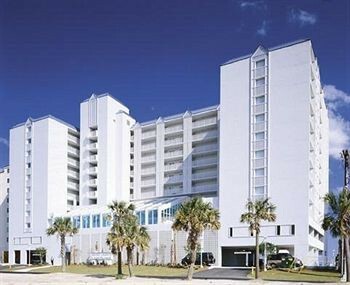 Property Location A stay at Shore Crest Vacation Villas II places you in the heart of North Myrtle Beach, convenient to Alabama Theatre and Carolina Vineyard Winery. This beach condo is within close proximity of House of Blues Myrtle Beach and Barefoot Landing.Rooms Make yourself at home in one of the 240 guestrooms, featuring kitchens with refrigerators and stovetops. Premium TV channels and DVD players are provided for your entertainment. Conveniences include phones, as well as microwaves and coffee/tea makers.Rec, Spa, Premium Amenities Be sure to enjoy recreational amenities, including a health club, an outdoor pool, and an indoor pool.Business, Other Amenities Featured amenities include express check-out, laundry facilities, and a safe deposit box at the front desk.